Alumni who have graduated in the past 10 years can choose to give a $10 gift monthly ($120 / year) or quarterly ($40 / year). Please use the comments box to indicate if you would like to give your gift In Honor of or In Memory of someone. 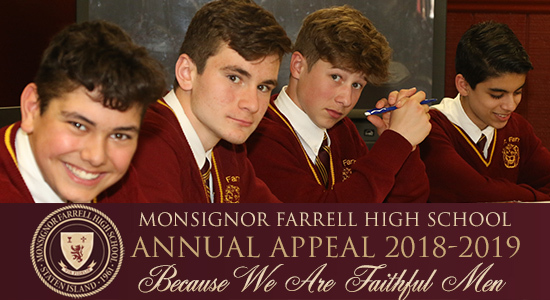 Thank you for supporting Monsignor Farrell High School. Your gift is tax deductible to the extent provided by law.